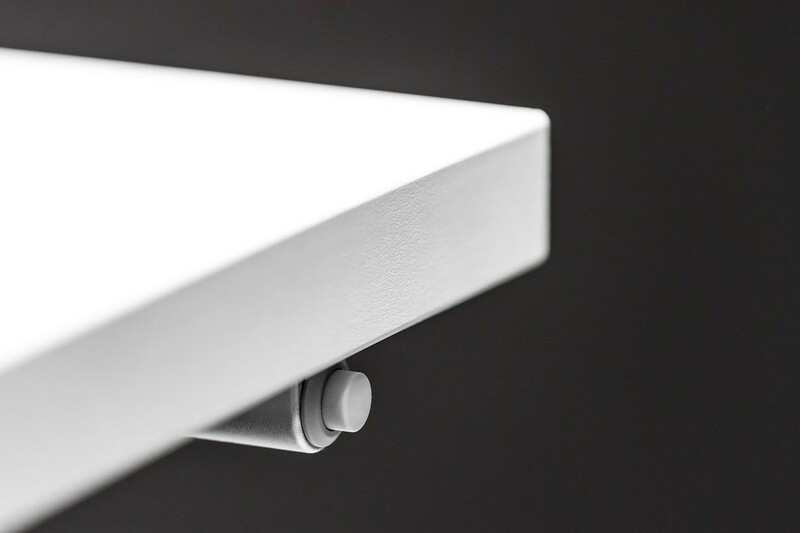 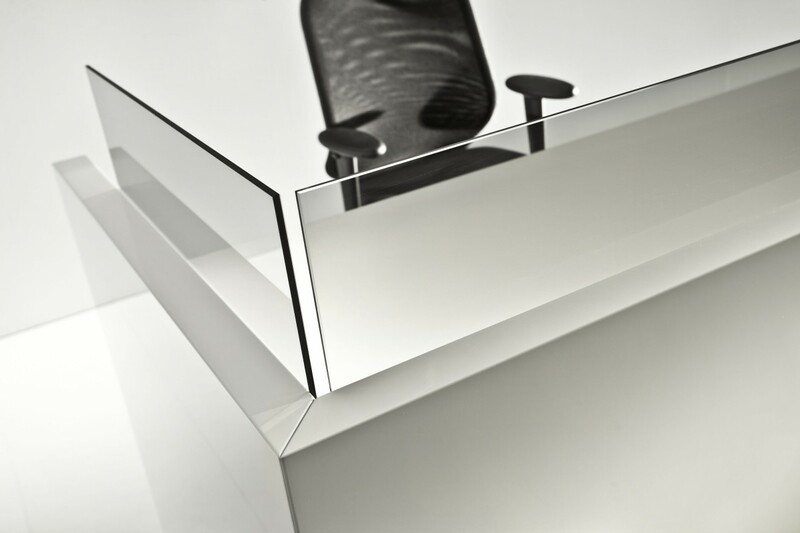 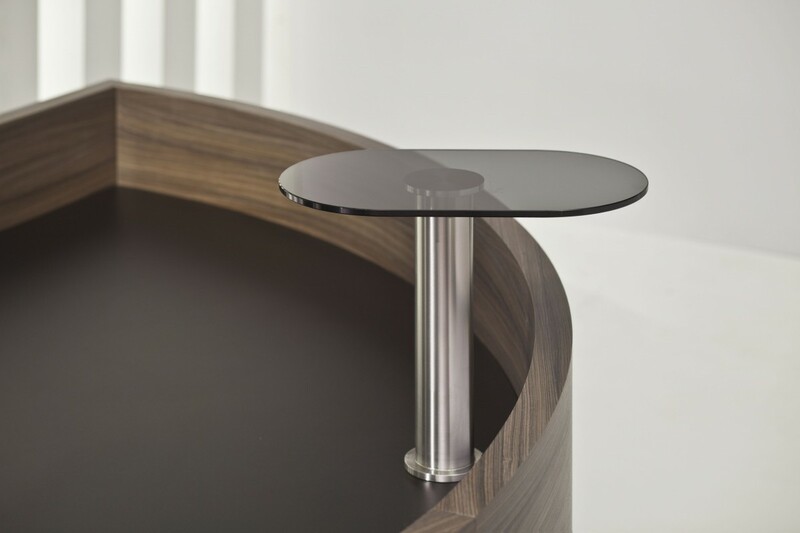 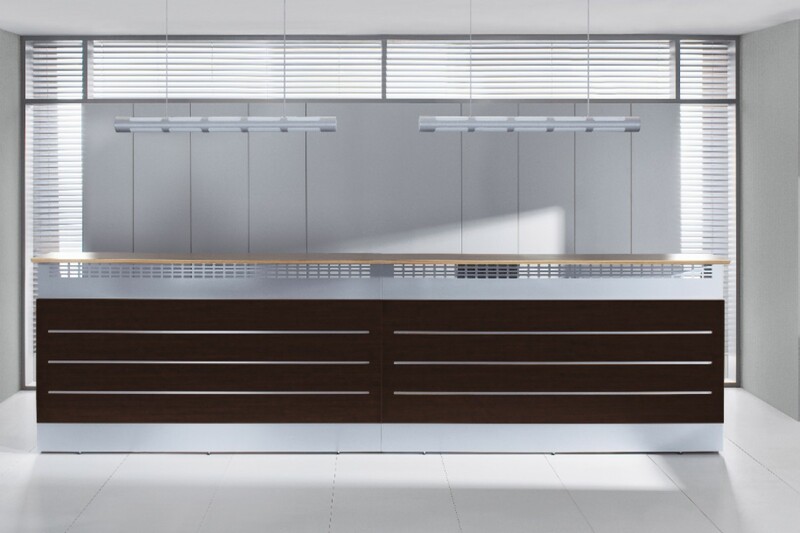 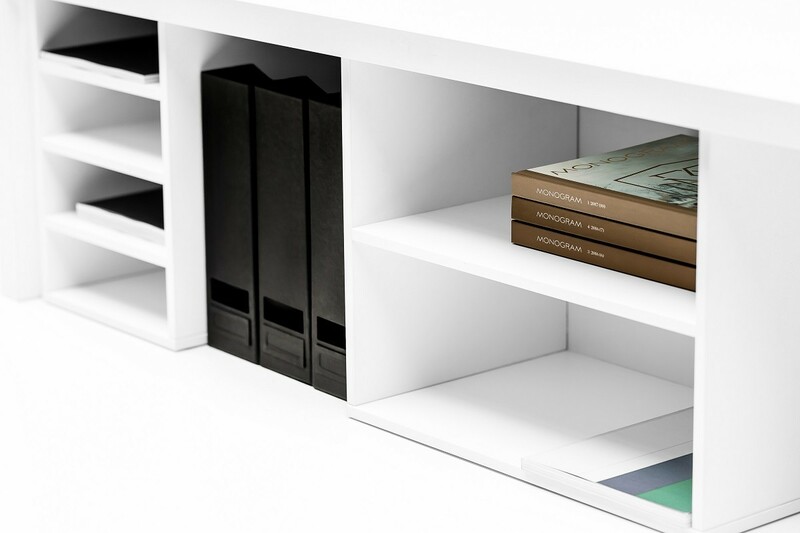 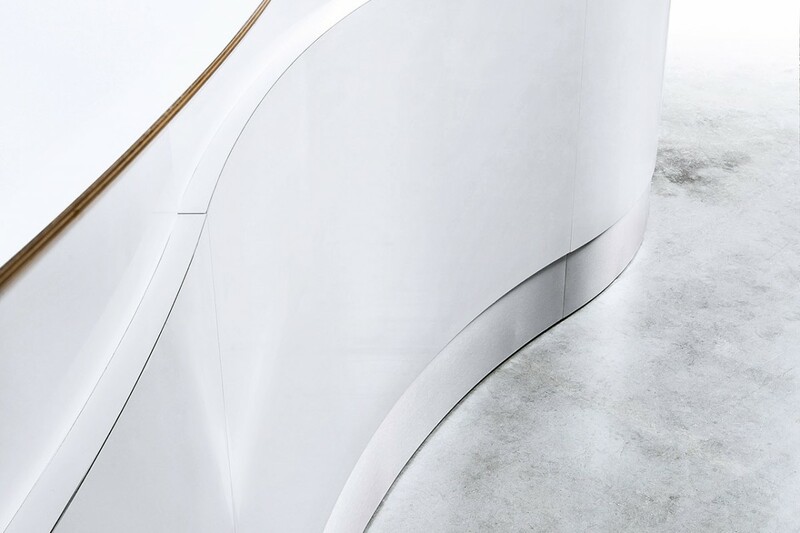 Our ATIXA counters feature a modern form manifested in a unique way. 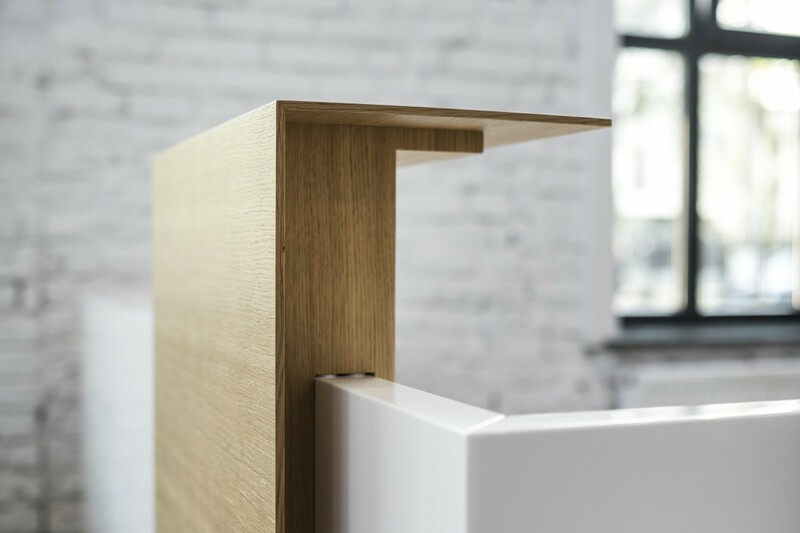 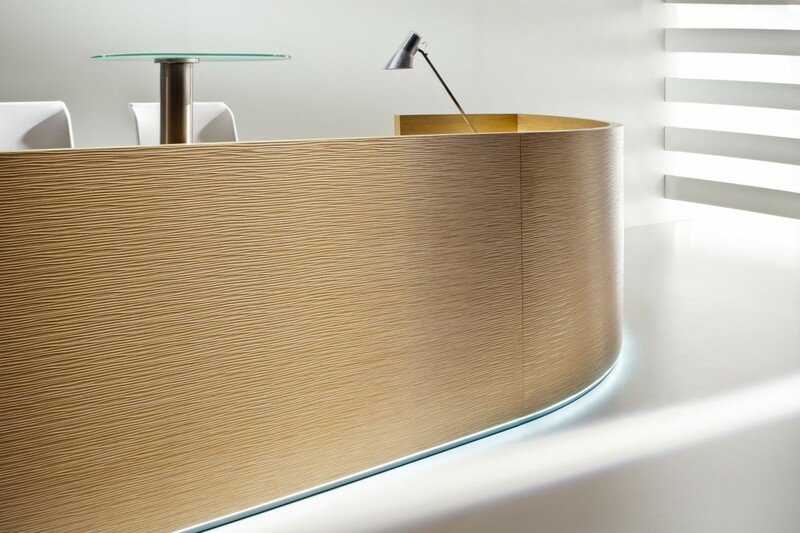 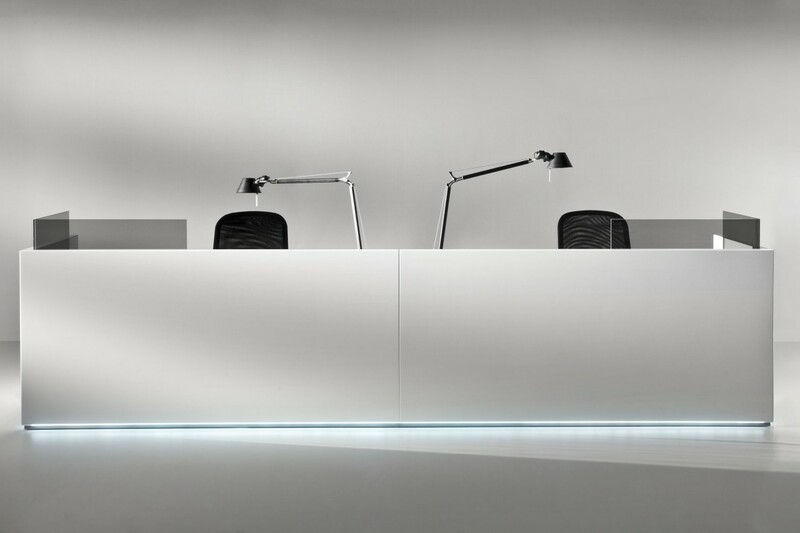 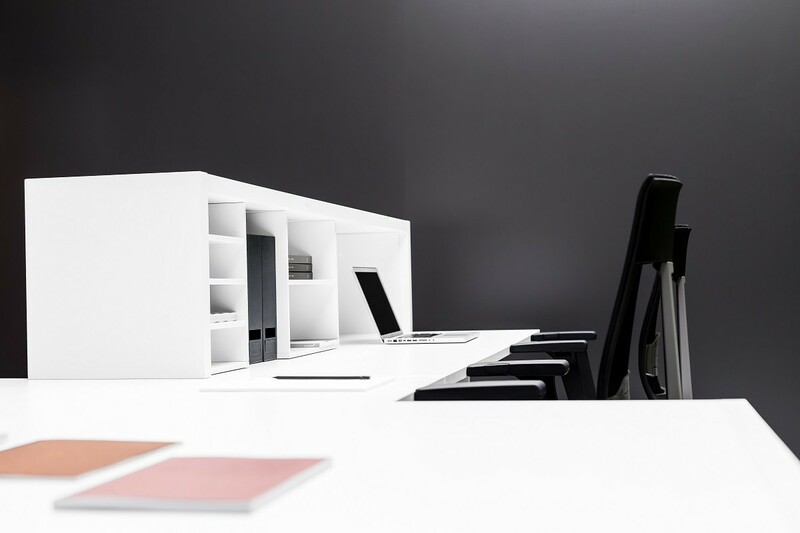 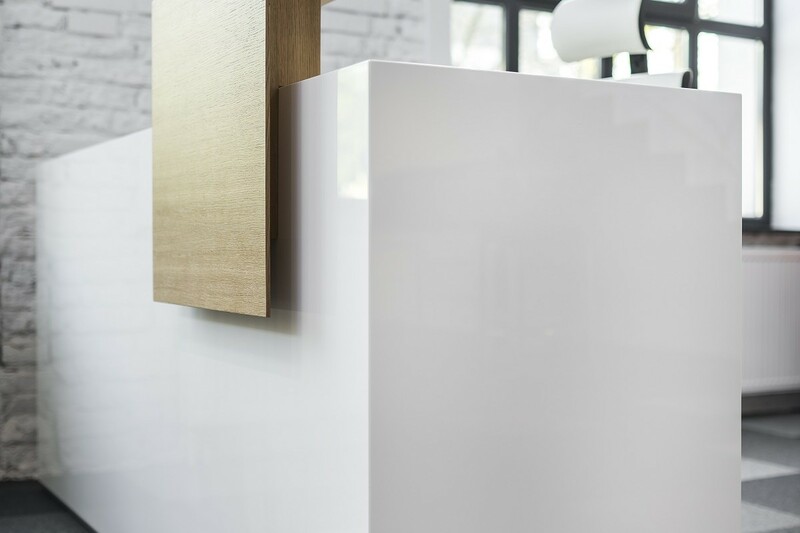 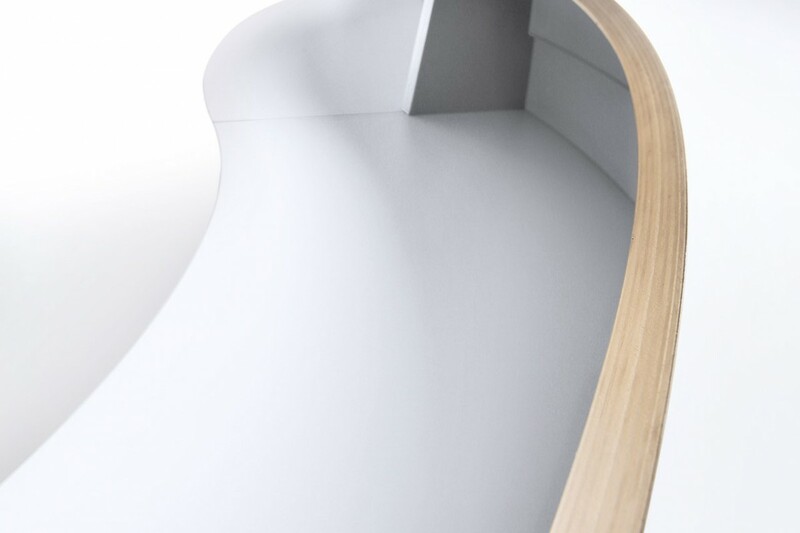 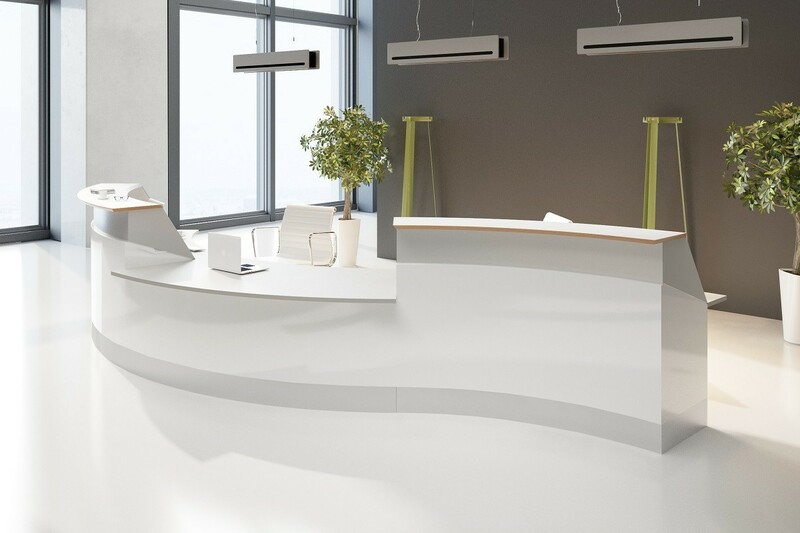 ATIXA designed by Piotr Kuchciński is a reception area made in Corian®. 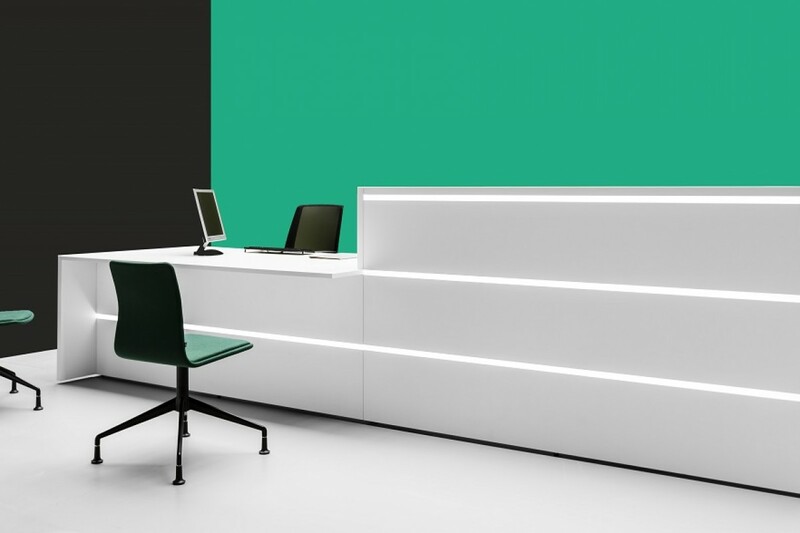 A new system of TRESTA reception counters perfectly meets the needs of our clients. 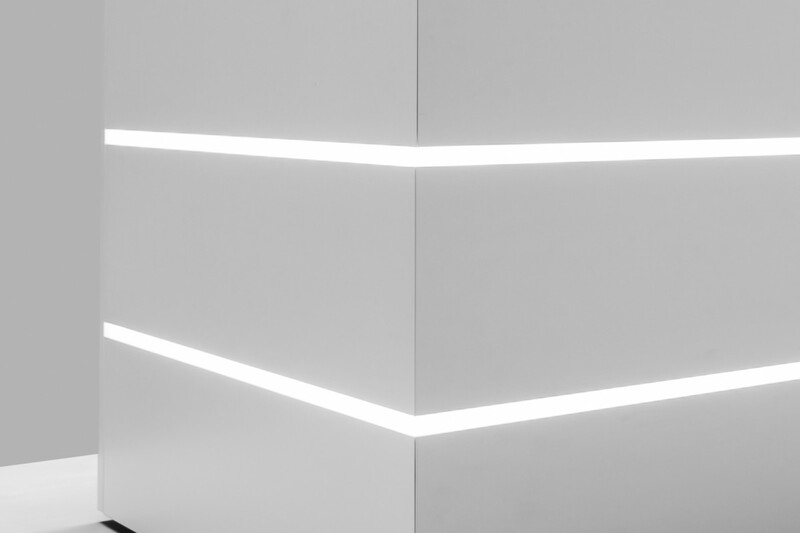 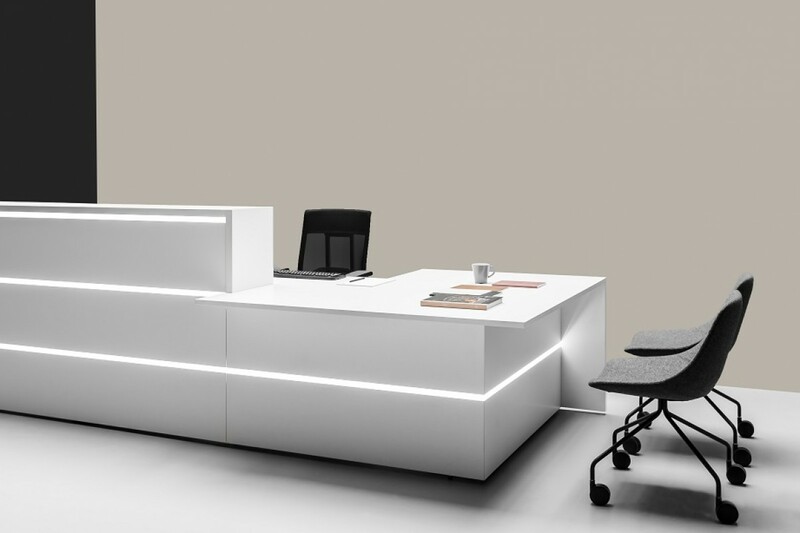 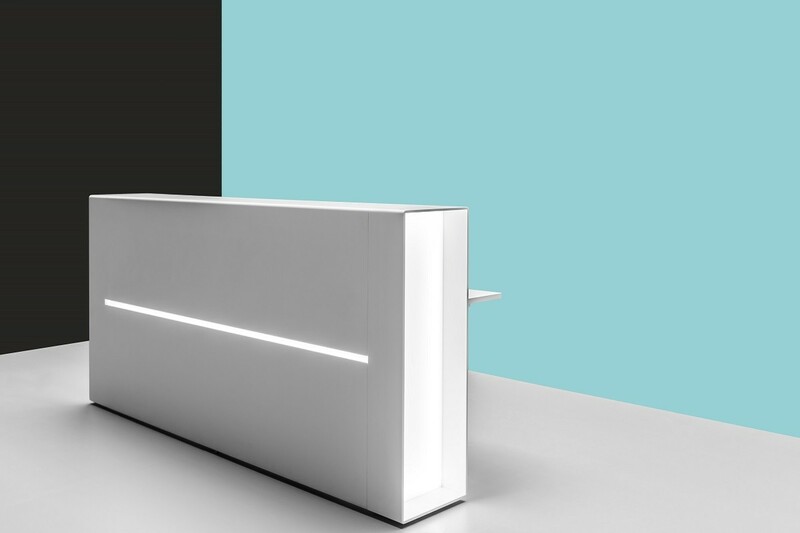 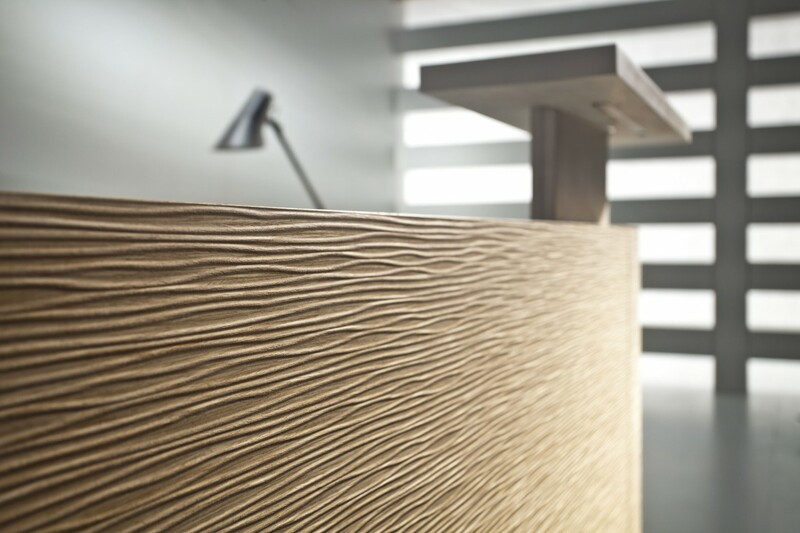 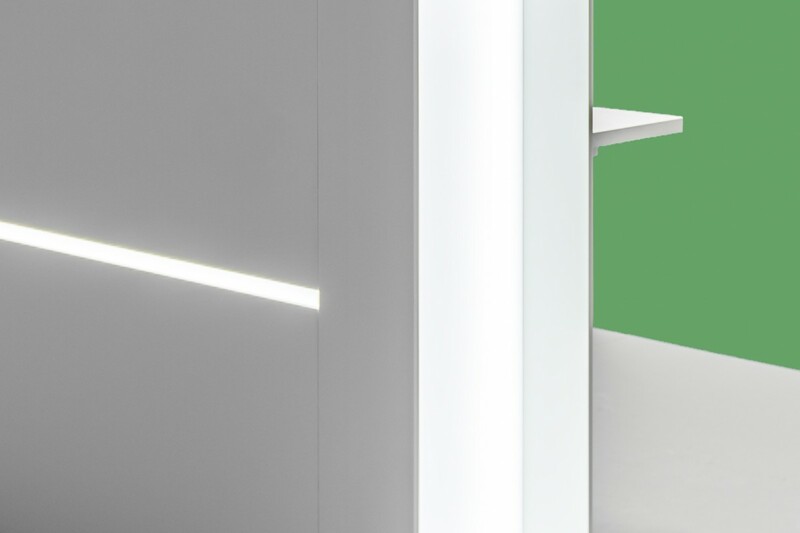 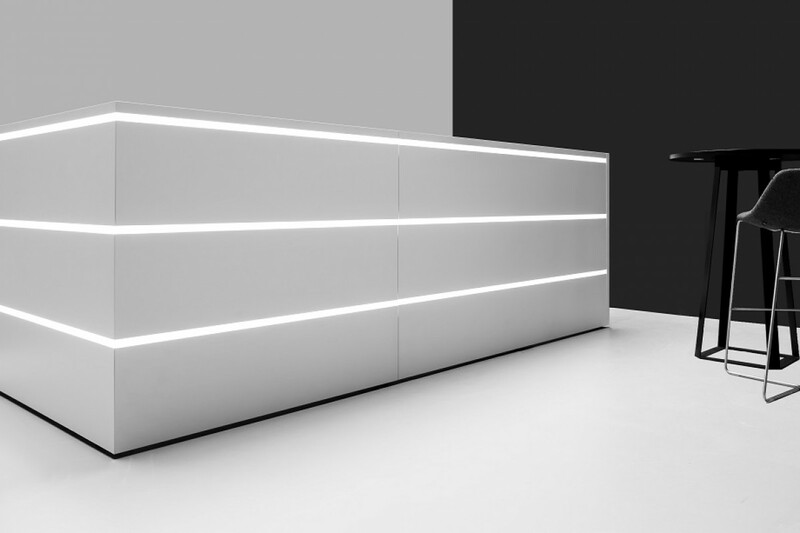 These are simple, pure forms accentuated by the LED light that allow to achieve the maximum functionality of the reception area, which is a place of the first contact with the client. 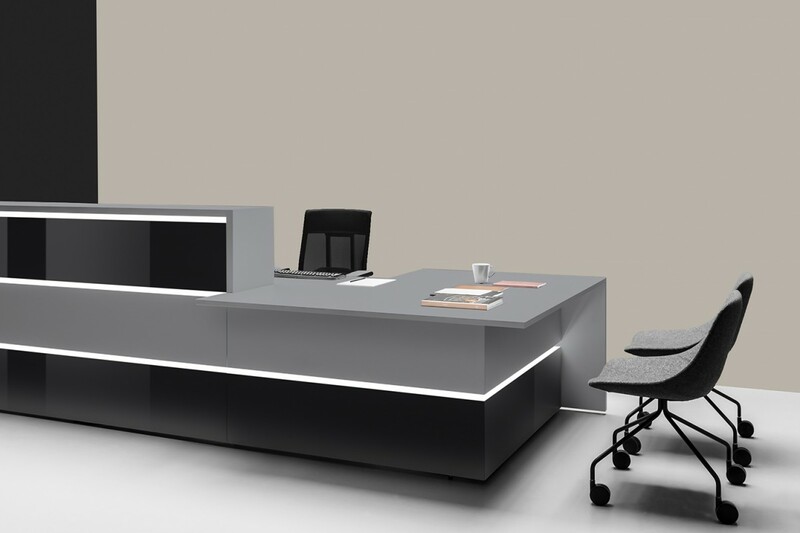 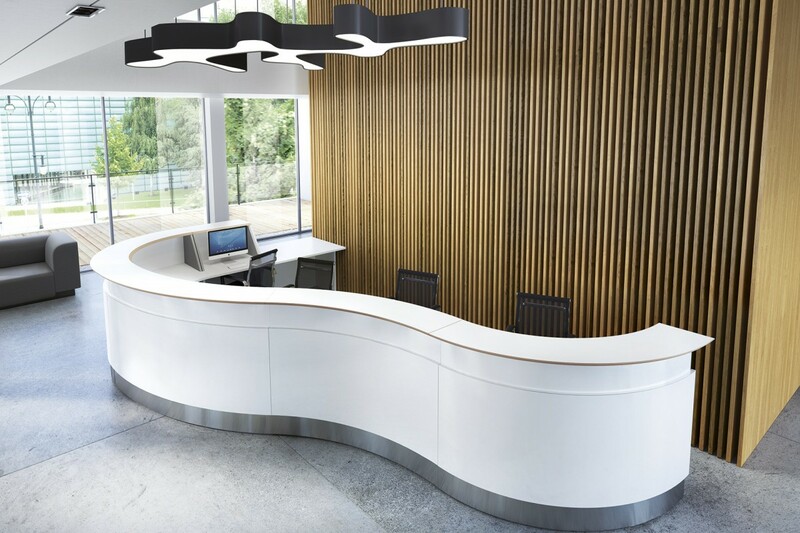 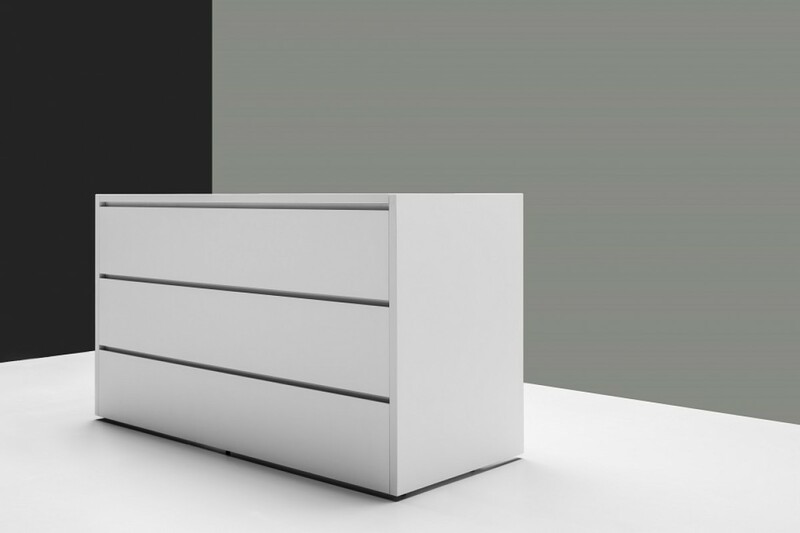 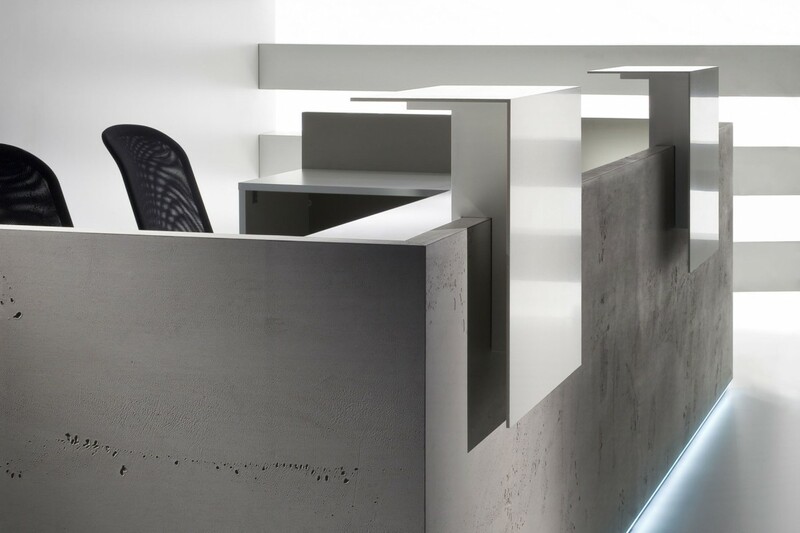 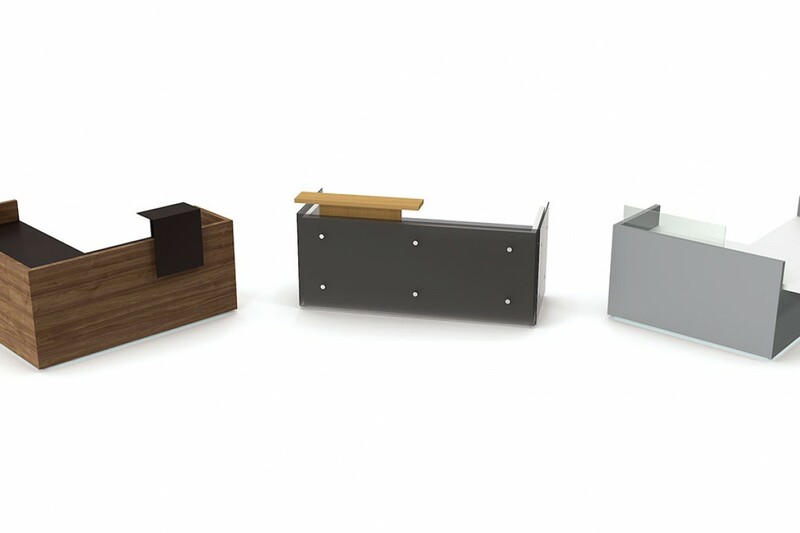 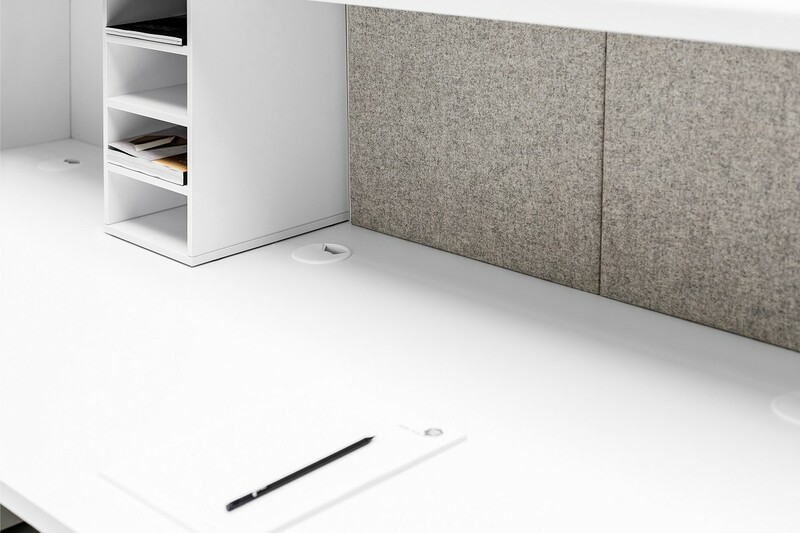 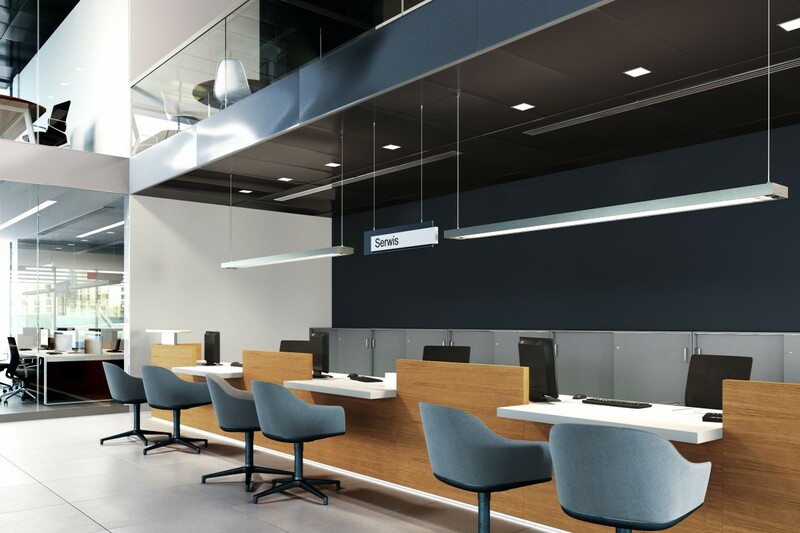 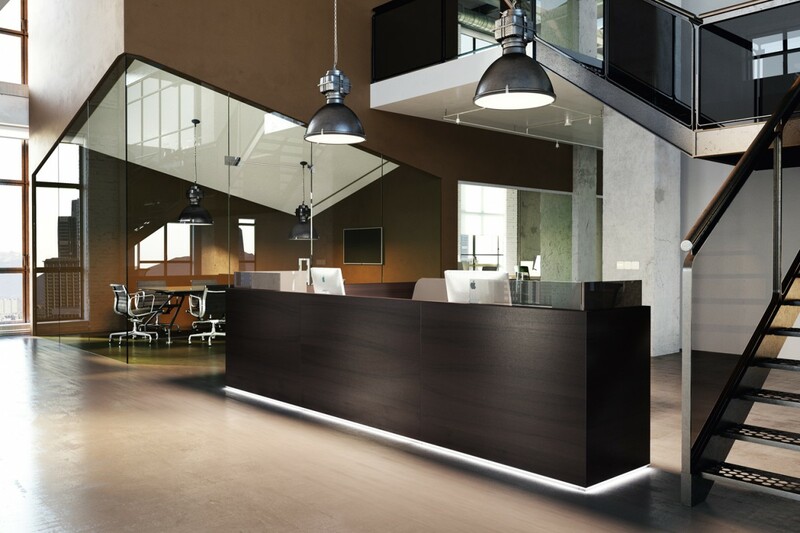 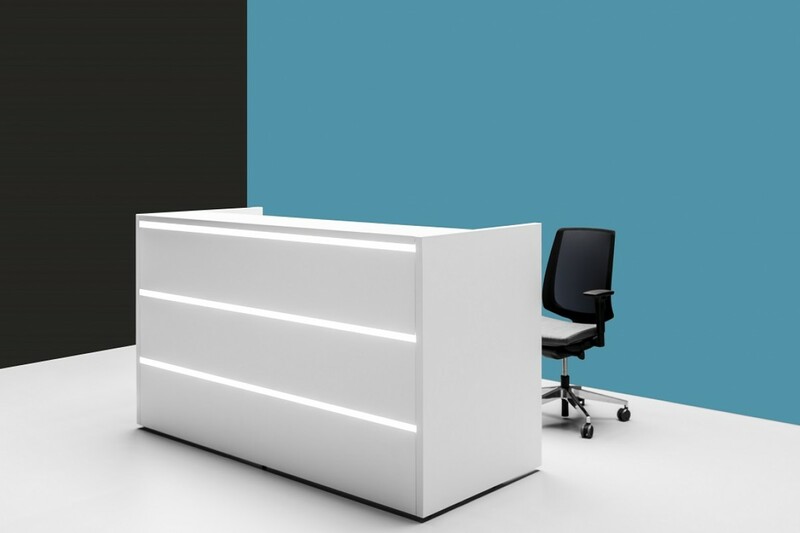 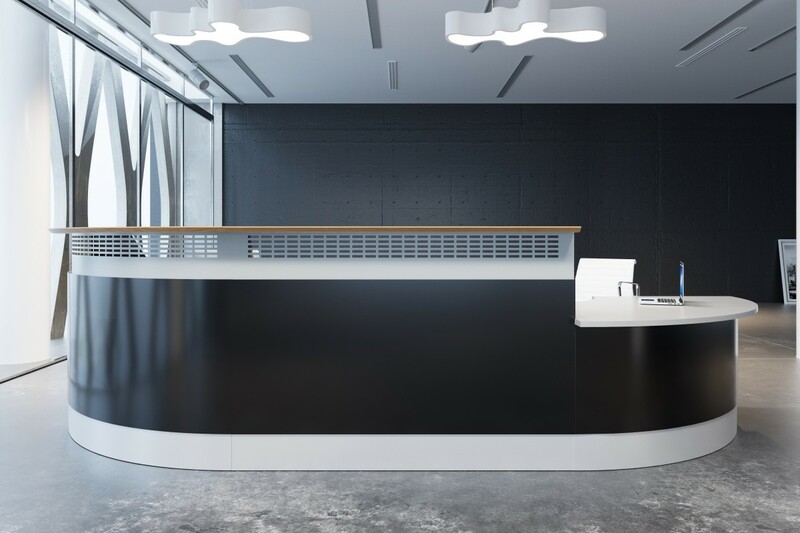 The system of modular reception counters is designed to satisfy the needs of demanding customers who look for modern, refined and customer-friendly appearance of their offices. 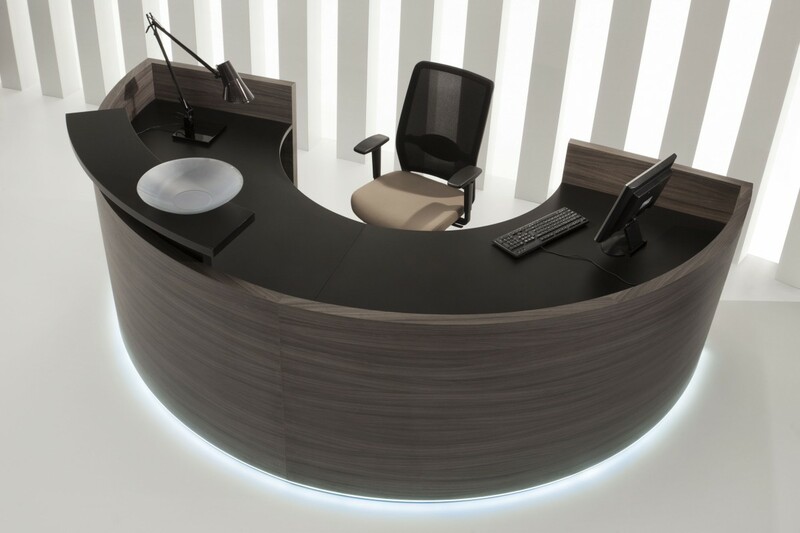 Modern solution with regard for a peculiar character of a first-contact place and also its elegant character.